British Airways i360 is a 162-metre (531 ft) observation tower on the seafront of Brighton, East Sussex, England at the landward end of the former West Pier. The tower opened on 4 August 2016. From the fully enclosed viewing pod, visitors experience 360-degree views across Brighton, the South Downs, the English Channel and on the clearest days it is possible to see Beachy Head 17 miles (27 km) to the east and the Isle of Wight 41 miles (66 km) to the west. British Airways i360 was designed, engineered, manufactured and promoted by the team responsible for the London Eye. It is estimated by the developers that the i360 will generate more than 440 permanent jobs; 160 posts at the attraction, and additional jobs from the spin-off benefits to other businesses in the city. The attraction cost £46 million, with £36 million being funded by a Public Works Loan Board (PWLB) loan through Brighton and Hove city council. Formerly known as the "Brighton i360", the project aimed to attract 739,000 paying customers every year, but has consistently fallen significantly short of this. The owner of the site, the West Pier Trust, hoped in 2014 that a successful i360 would lead to the rebuilding of the historic West Pier. The i360 carried its 1,000,000th passenger on the 11am flight on 11 March 2019. British Airways i360 was designed by architectural company Marks Barfield, which also designed the London Eye. The building was conceived as a "vertical pier". The tower is located at the shore end of the ruined West Pier, and the design recreated the original Italianate ticket booths of the West Pier, placed on both side of the entrance, serving as ticket office and tea room. The design also includes a beachfront building that allows access to the tower and houses a brasserie, café and gift shop. The tower is designed as a 162 m (531 ft) tall needle structure with an ascending and descending circular viewing platform with capacity for 200 people. 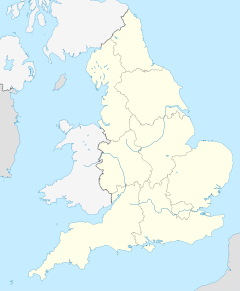 It is Britain's tallest moving observation tower, with a viewing platform at 138 metres (453 feet), and views along the coast, across the South Downs and across the English Channel. The viewing platform is higher than the nearby Sussex Heights tower block and Whitehawk Hill, and about the same height as Thundersbarrow Hill, Red Hill and Race Hill around Brighton & Hove. 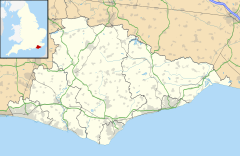 The top is about the same height as Beeding Hill to the northwest and Falmer Hill to the northeast, but not as high as parts of Woodingdean, Hollingbury Hill, Ditchling Beacon or Devil's Dyke. According to the operator, the "i" in the title stands for "intelligence, innovation and integrity". Plans were submitted in June 2006 and were approved by Brighton and Hove City Council later that year with construction projected to start in 2007. Following delays of around 15 months, the off-site construction of the sections of the tower began in 2008 in the Netherlands, and work on reconstructing the arches beneath and east of the pier to allow the tower construction began in November 2012. Work on the tower itself began in May 2014, with the attraction being scheduled to open in 2016. The Dutch steelwork specialist Hollandia prefabricated the cylindrical steel sections of the tower, known by the team as cans. The column is 4 metres in diameter, and with a height-to-diameter ratio of 40:1, it is the world's slenderest tall tower. The glass passenger pod was designed and built by cable car specialists POMA, which also built the London Eye capsules. The passenger pod is 18 metres in diameter and holds up to 200 people. The viewing pod travels from street level to a height of 138 metres before returning to beach level. The pod provides a 360 degree view through curved glass and is heated and air-conditioned, with full wheelchair accessibility and bench seating. It also contains a bar; and restaurant in the base building called the Belle Vue. English Heritage felt that the 2006 plan would "provide an outstanding feature on the seafront, and a worthy companion to any successor to the West Pier". In a statement, the West Pier Trust hoped that the project would "regenerate a key blighted city site and send out a loud message that Brighton is open for business". The project was the winner of the Judges' Special Award at the British Construction Industry Awards 2017. It also won The Award for Tall or Slender Structures and The Supreme Award for Structural Engineering Excellence at The Institution of Structural Engineers' Structural Awards 2017. The project was initially intended to be entirely privately funded. The architect, Marks Barfield, sold its stake in the London Eye and found financial backers to build the tower. Following the financial crisis of 2007–08, Marks Barfield approached Brighton and Hove Council for a loan. The council initially agreed to support the build with a £14.8 million loan, but this was raised after an unnamed private equity investor told the architects it could no longer proceed and withdrew its planned £15 million contribution in 2012. In March 2014, the project was expected to cost £46 million, with Brighton and Hove Council lending £36.2 million from the Public Works Loan Board and architects Marks Barfield contributing £6 million. The deal includes Marks Barfield paying £1m annual profit to the council. The £36.2 million loan was agreed at a Special Policy & Resources Committee in March 2014, the council agreeing to more than replace the lost investment capital and to again borrow from the Public Works Loan Board to effect the new bailout. The Coast to Capital LEP loan of £3 million was raised to £4 million. The West Pier Trust has suggested the project "will cost the taxpayer nothing", but some residents are concerned that any repayment risk would be borne by the residents of Brighton & Hove. The council has said that if the loan were not repaid, it would have the option to take over the attraction, find another operator or sell it. British Airways i360 opened on 4 August 2016. A scheduled fireworks display was delayed for a week due to a storm off the coast. Pod flights depart every 30 minutes with rides lasting approximately 20–25 minutes. The pod was vandalised within the first few weeks of operation, with a foot-long crack in the glass being repaired after it was noticed by customers. A spokeswoman described the damage as "aesthetic" that held no risk to customers' safety. The i360 experienced operational issues a month after opening. On two occasions in September 2016 the i360's pod became stuck. A "slight technical fault" resulted in passengers being stranded 30 feet (9.1 m) above ground for a time. Just days later 200 visitors were trapped at ground level for over an hour. The tower was closed for a day for checks. A broken cable in February 2017 caused passengers to become stuck part way through the ride for two hours, and the i360 was closed over the weekend for repairs. In March 2017, the tower was closed due to a temporary fault; the third time the attraction has been closed since it opened. Some local residents have campaigned against the loan and raised petitions, one reaching 1,449 signatures, including those of architects Paul Zara, of Conran and Partners, and Paul Nicholson, of Chalk Architecture; Simon Fanshawe, the writer and broadcaster, and Malcolm Dawes, chairman of the Brighton Society. Zara has since become a supporter of the i360, declaring, "We should embrace it." Valerie Payton of the SaveHOVE campaign said that the tower "will be profoundly out of keeping with the rest of the seafront. It will be a huge, wide and monstrously tall steel structure that will be omnipresent and visible from wherever you look in the city and beyond." She expressed concern that if the project failed for any reason, the city would have to repay the loan. Selma Montford of the Brighton Society, which aims to conserve and improve the city's amenities, described the i360 as a "horrendous thing in the sky" which would belittle nearby Regency Square. She said that she did not believe it would achieve the predicted visitor figures. Brighton residents who dislike the i360 have nicknamed it the "iSore". Writing in The Independent on the day following the launch, Janet Street-Porter criticised the i360, comparing it unfavourably with Brighton's "egalitarian" West Pier. The Seattle Times also reported on unfavourable reactions to the opening. ^ "Construction work on Brighton's i360 tower begins". BBC. 29 July 2014. Retrieved 31 July 2014. ^ "The i360 at Brighton West Pier". Brighton West Pier Trust. Archived from the original on 29 September 2006. ^ a b c Kashmira Gander (1 August 2016). "First look inside Brighton's i360 'vertical pier' - the world's tallest moving observation tower". The Daily Telegraph. ^ a b c Brian Oliver (26 December 2015). "Brighton reaches for the sky in bid to reverse its 'lost decade' of neglect". The Guardian. ^ "Workers complete demolition of sections of Brighton's West Pier ahead of i360 build". The Latest. Retrieved 2 July 2014. ^ "British Airways sponsors Brighton's i360 seafront tower". BBC. 26 November 2015. ^ a b c Wainwright, Oliver (2 August 2016). "Brighton i360 review – London Eye team go pole dancing at the seaside". Guardian. ^ a b c d "Work on the Brighton i360 to start within weeks". thelatest.co.uk. Retrieved 31 March 2014. ^ "i360 Glass Passenger Pod Under Construction". Marks Barfield Architects. ^ Bradbury, Dominic (9 July 2016). "London Eye architects Marks Barfield on their maddest project yet". The Daily Telegraph. ^ Hustwayte, Rob (24 August 2006). "Vital support for i360 proposals". The Argus. ^ "2017 Winners | BCI Awards 2017". ^ "www.structuralawards.org - Award categories - Awards - The Institution of Structural Engineers". ^ a b "Funding for Brighton i360 to be decided tomorrow". Brighton and Hove News. Archived from the original on 7 April 2014. Retrieved 3 April 2014. ^ "Public Works Loan Board". Archived from the original on 19 November 2017. Retrieved 12 November 2018. ^ "Brighton & Hove City Council - Agenda for Policy & Resources Committee on Thursday, 6th March, 2014, 4.00pm". Present.brighton-hove.gov.uk. Retrieved 3 April 2014. ^ "A Tall Order - Daniel Raven is No Longer Enjoying the View". Sussex Style magazine. April 2014. Retrieved 11 June 2015. ^ "'i360' West Pier Observation Tower and Heritage Centre | Brighton & Hove City Council". Brighton-hove.gov.uk. Retrieved 3 April 2014. ^ "Brighton's i360: World's thinnest tower to open". BBC. 2 August 2016. ^ "Brighton's i360: Fireworks called off at world's thinnest tower". BBC. 4 August 2016. ^ "i360 fireworks re-scheduled for tonight". ITV. 13 August 2016. ^ a b Thompson, Flora (25 August 2016). "i360 vandalised just weeks after opening". The Argus. ^ "Crack in glass pod of Brighton i360 'posed no risk to customers'". ITV News. 25 August 2016. ^ "Brighton's i360 tower: Passengers stuck for second time within days". BBC News. Retrieved 12 September 2016. ^ Press Association (12 September 2016). "Brighton's i360 tower closed after technical problems". The Guardian. ^ "Brighton's i360 tower closed after breakdown". BBC News. 25 February 2017. Retrieved 25 February 2017. ^ "Brighton's i360 tower closed again due to temporary fault". BBC News. 27 March 2017. ^ "Hundreds sign online petition against i360 loan agreement". The Argus. 14 March 2014. Retrieved 31 March 2014. ^ a b c Sawyer, Patrick (13 April 2014). "High price to pay? Observation tower divides Brighton". The Daily Telegraph. ^ a b Benedictus, Leo (28 August 2015). "'It's a bonkers, outsized flagpole': Brighton greets the world's tallest moving observation tower". The Guardian. ISSN 0261-3077. Retrieved 2 February 2016. ^ John Keenan (9 May 2016). ""The i-sore": Will Brighton's new i360 observation tower ever win over the public?". CityMetric. ^ "Janet Street-Porter, 'Brighton's i360 is an expensive and hideous eyesore', The Independent, 6 August 2016". Wikimedia Commons has media related to British Airways i360. "British Airways i360 Official website". "BBC News - UK - England - Sussex - Brighton i360 work set for June". BBC News. 2 April 2007. Retrieved 25 April 2007. "West Pier - i360". Archived from the original on 10 March 2007. Retrieved 25 April 2007. "West Pier - latest on i360". Archived from the original on 5 February 2010.